Explore the Anime and Manga town of Akihabara with a Samurai Cosplayer. The Samurai Cosplayer who is also a photographer name Karma, will help you look for costumes for cosplaying, and take you around Manga book shops and souvenir shops in Akihabara. Karma is very knowledgeable of Akihabara district so whatever your looking for he will help you find in Akihabara. Explore Akihabara with a Samurai Cosplayer! This program is conducted by a Samurai Cosplayer who is also a photographer name Karma. He will help you to look for costumes for cosplay, Manga book shops and souvenir shops in Akihabara. He can choose the shops matching your request and makes it easier to find what you want in Akihabara. You will enjoy Akihabara much more than exploring on your own. Enjoy the Japanese Otaku culture! Akihabara is the center of Japanese Otaku culture and known for many shops which devotes to Anime and Manga, among with many electric devices. On Sundays, Chuo Dori, the main street through the district, is closed to car traffic from 1Pm to 5PM and becomes "Pedestrian Paradise." This tour starts at Akihabara Electric Town Exit at 1 PM and the group walks through Chuo Dori to Suehirocho and come back to the station at 5 PM. Karma will show you many things to do in Akihabara depending on your request. In Akihabara, you can even make your own stamp quickly and play Gachapon, a capsule toy vending machine. 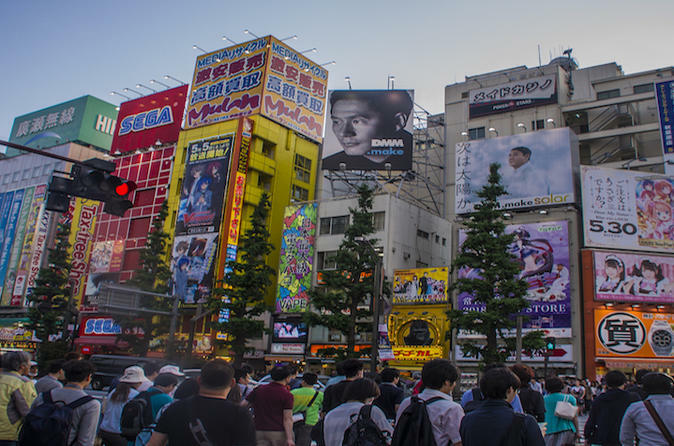 If you are interested in Japanese subculture, Akihabara is the place for you.